This story follows on from our original InMoov project post. 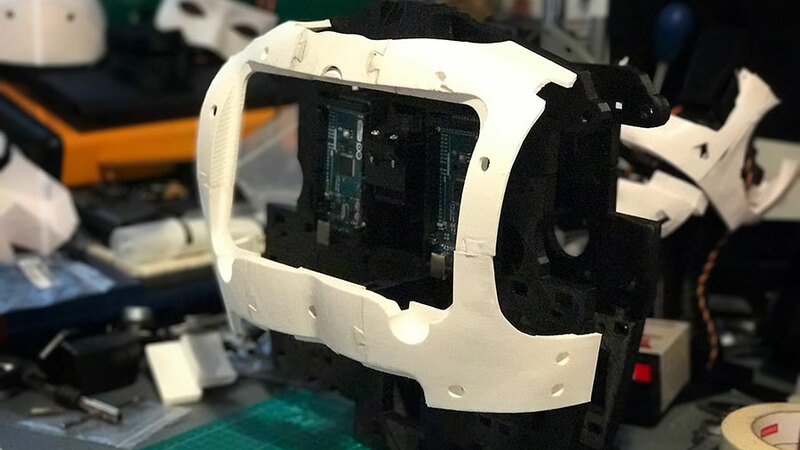 It's been a while since we updated the blog and detailed our progress in building our very own InMoov robot. Whilst building the head we mounted it on a stand but since we're at the stage of getting everything hooked up and running we wanted to be able to mount the electronics and cabling correctly instead of having it all over the bench. We decided to move straight on and build the torso and back in order to allow us to mount the head and electronics correctly and get everything working before moving on to the rest of InMoov. 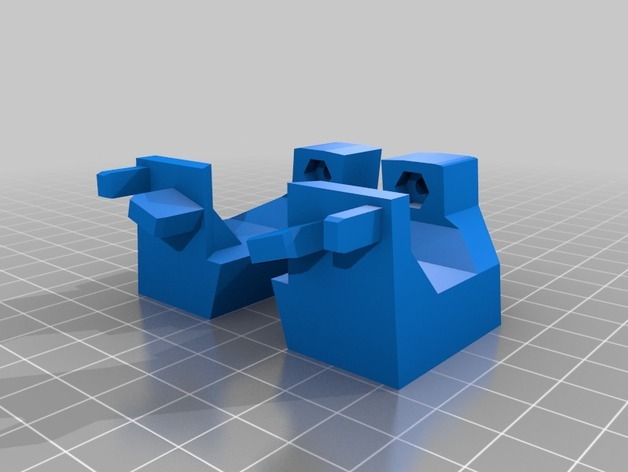 Whilst printing the torso we noticed that a few parts could be combined into a single piece and still easily fit onto the build platform. 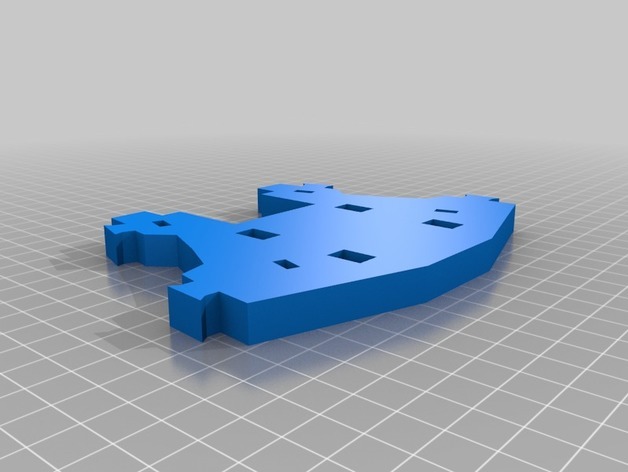 The middle sections of the front and back plate are where all the strength of the torso is when assembled so having these as one solid piece instead of two reduces print time and should also increase the strength and rigidity a little. 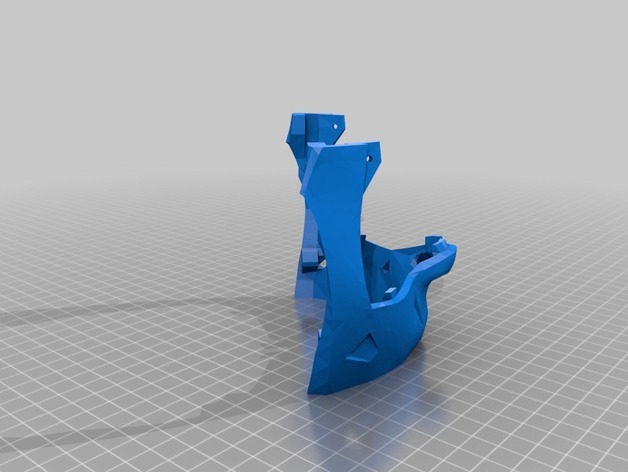 We also noticed that a few parts for mounting the back were quite weak so we created a stronger version. The files were created from the original STL files from InMoov, modified and cleaned in SketchUp before re-exporting. There are other versions of this available that are just the two pieces placed together on the build plate (and therefore not actually a single piece) - this is a genuine, single piece, cleaned up HomplateFront. There are other versions of this available that are just the two pieces placed together on the build plate (and therefore not actually a single piece) - this is a genuine, single piece, cleaned up HomplateBack. There are other versions of this available that are just the two pieces placed together on the build plate (and therefore not actually a single piece) - this is a genuine, single piece, cleaned up HomplateBackLow. 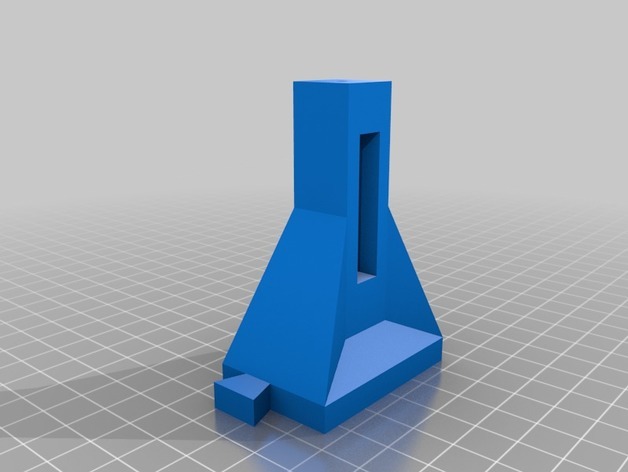 This is TopMouthV3 with the nose support removed so that you can print with your own support settings. These broke all too easily so we made a stronger version. Be sure to push down on the flat section when mounting to the back plate otherwise it's still prone to breakage. This broke all too easily so we made a stronger version.